I am writing about round towers. 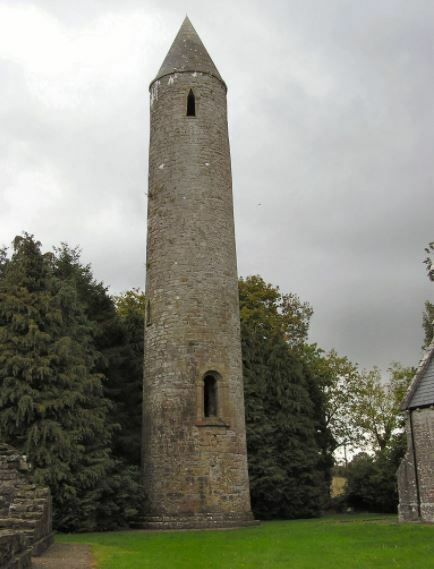 Round towers were usually built close to a monastery and most were built between the 9th and 12th centuries. The Monks used them when the Viking were coming to attack them. The monks used to have a lot of treasure back then. They would have a man in a wooden tower, on look out, and when he saw the Vikings, he would shout and all the monks would get the treasure and climb up a ladder. The door would be half way up the tower and when the monks and the treasure were safely in the tower, one of the monks would pull up the ladder and the Viking could not get them. The monks were holy people.There was no soliders to fight for them when the Vikings attacked them that’s why they build the round towers. The Vikings could not get the gold and not kill them. The monks got all the gold and gems by trading stuff and sometimes they just had the gems from mining.